Snowflakes are totally the stuff of winter. And they make perfect ornaments for the Christmas tree. 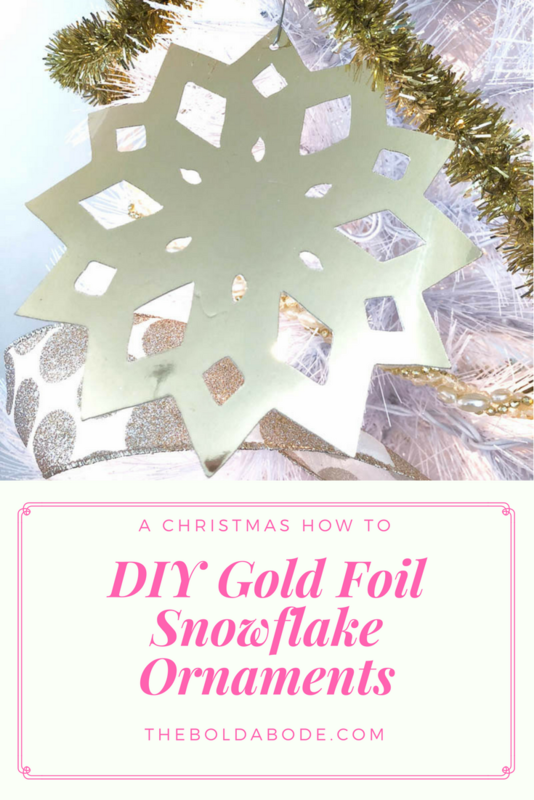 But if you’re going to do it right, you have to make them terribly special just like these Gold Foil and Glittery Paper Snowflake Ornaments! This is one project where my Cricut cutting machine comes in handy, I have to confess. Yes, you can totally trace these out on the back of the cardstock and cut them out, but the Cricut makes short work of it! This is pretty straight forward, y’all. 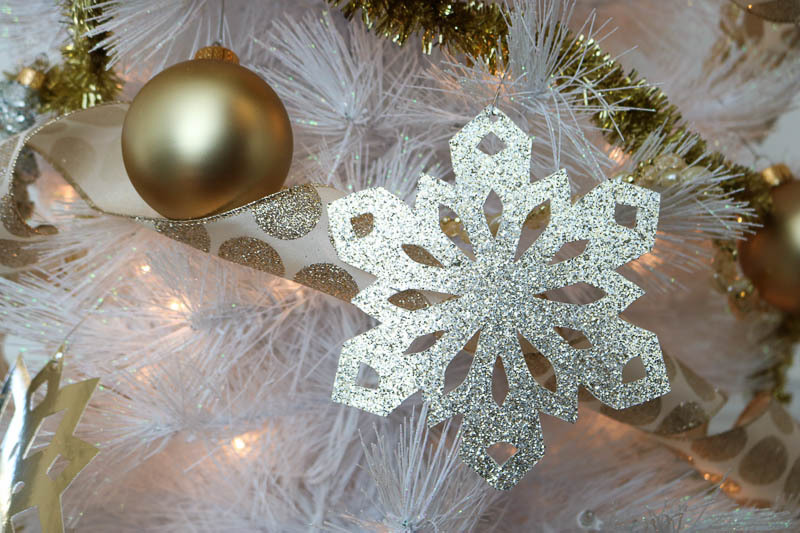 If you have a Cricut, just upload your snowflake images to the Design Space and cut away! If you don’t have a Cricut, just trace your snowflake template onto the back side of your cardstock and use a very sharp Exactoknife or scissors to cut them out. 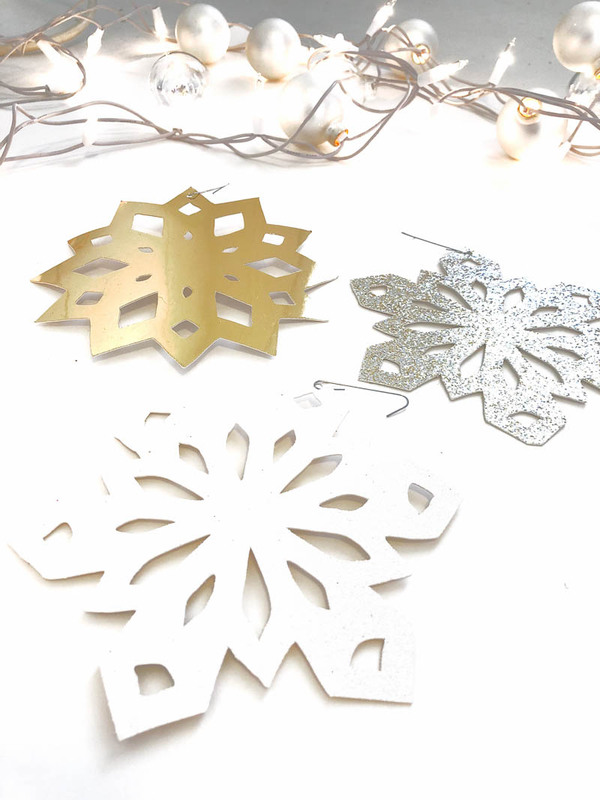 Once you have them all cut out, simply use a hole punch and add a hook to each snowflake. 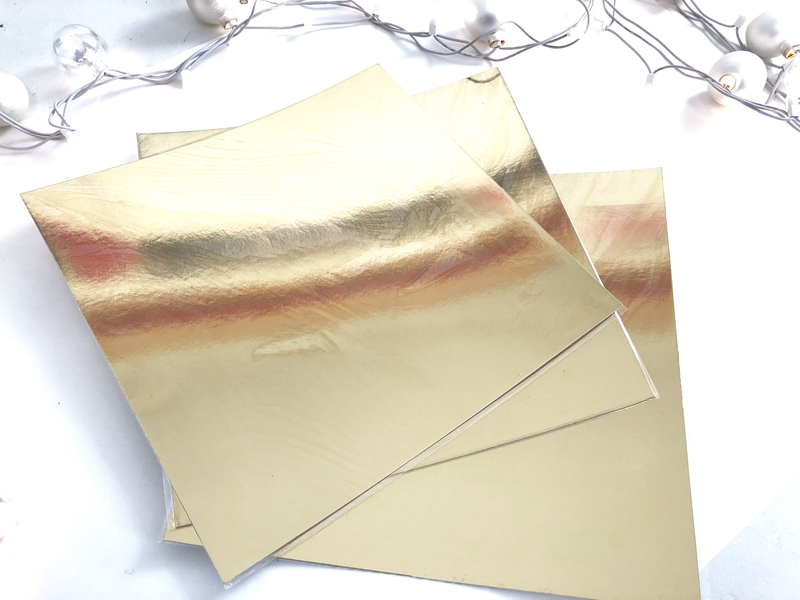 I used Gold Foil, Gold Glitter and a White Iridescent Glitter Cardstock. These snowflakes are so easy to make and look so pretty you won’t even know they are really made of paper! It’s a fun and SUPER thrifty way to decorate. 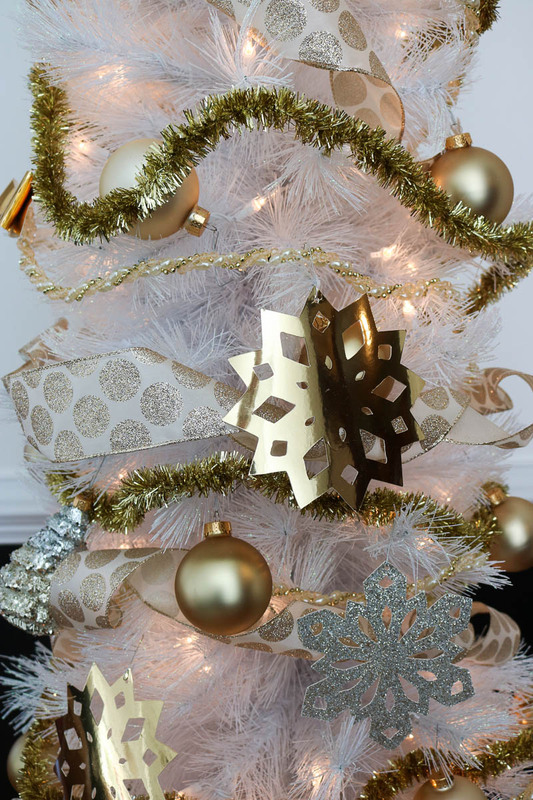 I love making paper ornaments, like these Gold Foil Geometric Pyramid ornaments with chunky glitter. Do you like making ornaments? What’s your favorite one you’ve ever made? Let me know down in the comments below!